Lock in a great price for Waters Edge – rated 8.8 by recent guests! 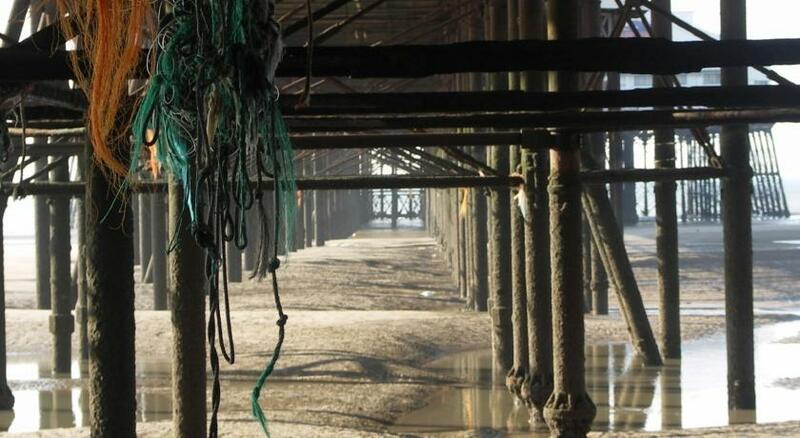 Very near to the South pier and pleasure beach. Tram stop very close too. Liked the option of not having breakfast as my kids aren't early morning eaters. 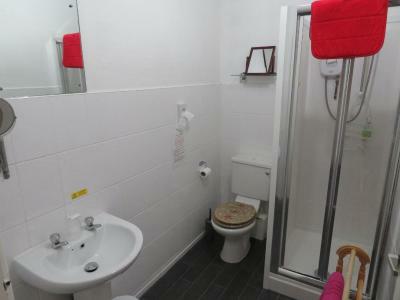 It's just what you need a bed and a shower as you spend most of the time exploring Blackpool. Paul was a great help moving his car so that I could have the space he even parked it for me too! Hosts where friendly and accomodating. Rooms excellent facilities lovely and clean. Great value for money. Location excellent for The south shore. 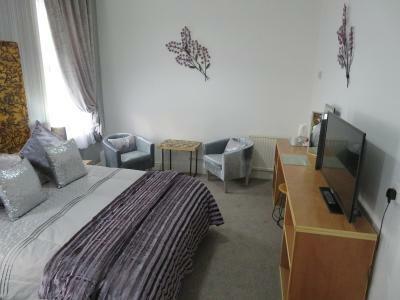 Comfortable bed, very clean and in an excellent location. 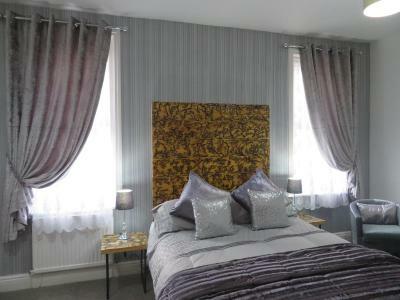 The beds were comfy and the surroundings make it feel extra homely. The building looks fresh on the outside and just feels really nice to be in. Near the sea, breakfast was excellent and the hosts are so friendly and nothing is too much trouble. Great choice of ingredients for breakfast, all cooked fresh and very tasty. Great location. Lovely staff. No noise at all at night time and lovely views from the hotel room. Breakfast was absolutely gorgeous!!! Waters Edge This rating is a reflection of how the property compares to the industry standard when it comes to price, facilities and services available. It's based on a self-evaluation by the property. Use this rating to help choose your stay! 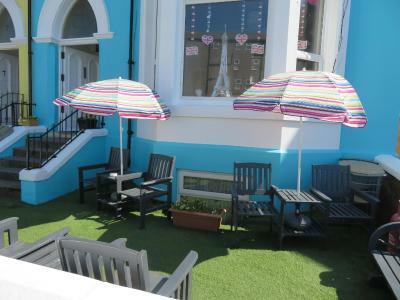 Just off Blackpool’s seafront and a 4-minute walk from Pleasure Beach resort, Water’s Edge has free WiFi. 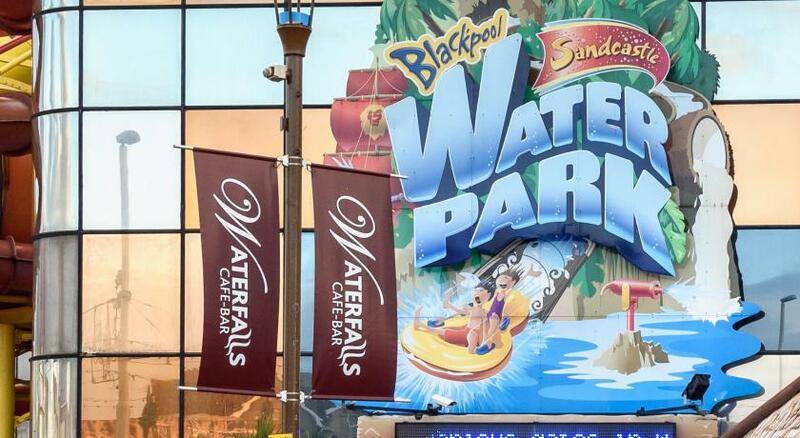 South Pier is nearby, Sandcastle Waterpark is 4 minutes' walk away, and there are opportunities for go-karting a short stroll down the promenade. 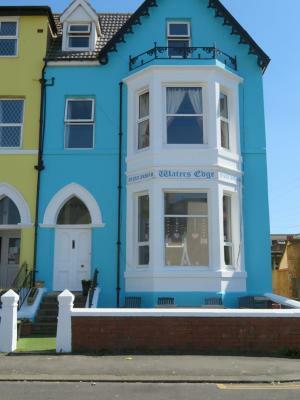 Each room at Waters Edge guest house has an private bathroom with free shampoo and soap, and every room also has a flat-screen TV and tea and coffee making facilities. Some also benefit from a sea view. the property also provides apartments. Friendly and trained dogs are welcome for an extra fee. Glasses can be provided for guest's drink, as well as plates and cutlery for takeaways. Breakfast can be ordered daily during your stay. Free public parking is available on the street. Secure parking is available for a surcharge at a location nearby. A parking space can be pre-booked through the property. When would you like to stay at Waters Edge? 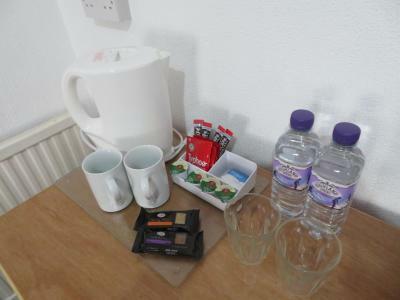 Rooms have a TV, tea and coffee making facilities, hairdryer and free toiletries. This room is located on an upper floor, and can only be accessed by stairs. 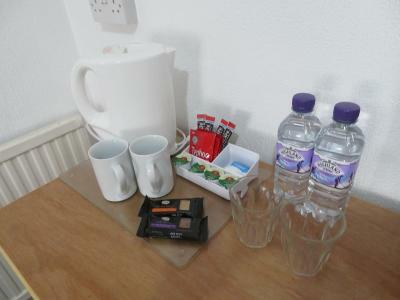 Rooms have a TV, tea and coffee making facilities, and free toiletries. This apartment features a kitchenette with some cooking facilities and a dining set. Bedroom has bunk beds and a double bed. 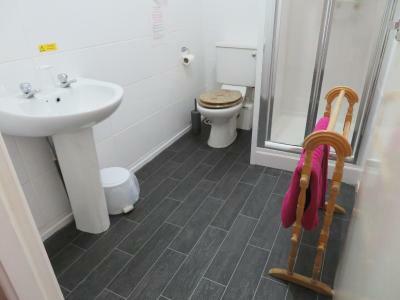 This room features a sea view and toiletries. Bedroom has bunk beds also a double bed. Ideal for short breaks. No extra beds or cots. Accessed by stairs only. This family room features a electric kettle. 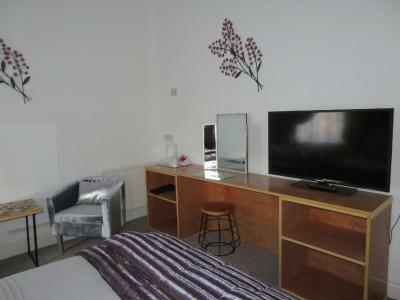 It contains a connecting bedroom that can accommodate up to 3 children and has its own TV. This apartment features a kitchenette with some cooking facilities and a dining set. There is a lounge area. 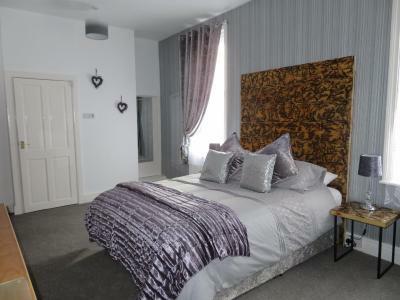 Guests will find a bedroom with a double bed, 2 single beds and a bathroom with a bath at the property. Accessed by 1 flight of stairs (basement). 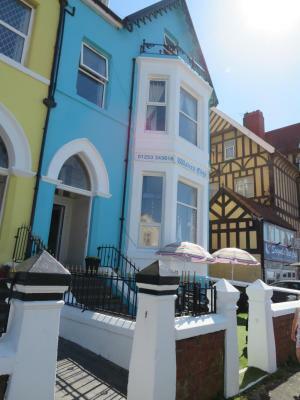 Sleeps 2 adults and 4 children. This suite features a king size bed, complimentary wine, bottled water and toiletries that include tooth brush and shower cap. Dressing gowns, hair dryer, an iron and iron board are also available. 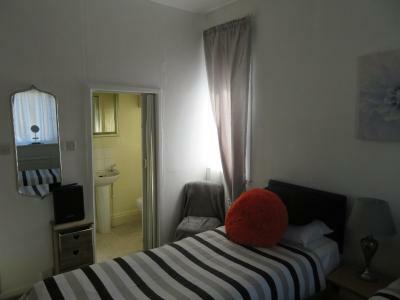 This room will accommodate 1 child 6 years - 12 years old, in an extra bed. Please inform the property at the time of booking. Extra charges will apply. Waters Edge was built in the 1800s. House Rules Waters Edge takes special requests – add in the next step! Waters Edge accepts these cards and reserves the right to temporarily hold an amount prior to arrival. Please note that breakfast is available for a surcharge of GBP 5 per person. Please note that breakfast is served from 08:00 until 09:15. Trained, friendly, small to medium dogs are welcome and extra charges will apply. Dog walking and sitting can be arranged from a half hour walk to a 5 hour sitting that includes walks. Fees do apply. Not really a complaint but lots of stairs. Just shows how unfit we were! Nothing!!! Waters edge was amazing. The bed was the comfest bed ive slept on in a b&b. The room was perfect for us!! The staff were all great and so helpful. Nothing is to much trouble for Josie, Paul and Corrine. Thank you guys we will be back!!! Paul & Josie were the perfect hosts and make you feel more like friends/family than customers. We arrived later than expected and were warmly welcome by Josie. Bed was very comfortable, room was clean, warm and spacious. Breakfast in the morning was fantastic. Pauls banter in the morning made us feel at home. First impressions count and it couldnt have been better. On the outside the Waters Edge is beautiful and that certainly carries on throughout! Loved it so much we booked a break away for next month before we checked out. Looking forward to going back already. Credit where credits due , this place is fantastic and definately our new favourite!